Induction motors are used in many areas from the past to the present and in different fields with the development of technology has continued to be used. It is obvious that induction motors as an improvement to the efficiency in terms of energy saving would cause great benefit. In that context, induction motor manufacturers and designers are constantly trying out new methods to improve motor performance and efficiency. In this study, what would be the optimum diameter of the shaft in order to increase the efficiency of the induction motor were investigated. In the study, 5.5 kW, 7.5 kW and 11 kW motors analyzes were also performed. Obtained shaft diameter values were compared with the manufacturer values. In addition, critical points such as the magnetic flux values, weight values and performances of the motors were examined and optimal shaft diameter values for each motor have been determined. Asenkron motorlar geçmişten günümüze kadar birçok alanda kullanılmış ve teknolojinin gelişmesiyle birlikte daha farklı alanlarda da kullanılmaya devam etmektedir. Asenkron motorların veriminde yapılacak bir iyileştirme, enerji tasarrufu açısından büyük getirilere sebep olacağı açıktır. Bu bağlamda asenkron motor üretici firmaları ve tasarımcılar motor performansını ve verimini artırabilmek için sürekli olarak yeni yöntemler denemektedirler. Bu çalışmada ise asenkron motorun verimini artırabilmek amacıyla mil çapının optimum değerinin ne olacağı araştırılmıştır. Çalışmada 5.5 kW, 7.5 kW ve 11 kW gücündeki motorlar için analizler gerçekleştirilmiştir. Elde edilen değerler üretici firmaların mil çapı değerleri ile karşılaştırılmıştır. Ayrıca motorun manyetik akı değerleri, ağırlık, performans değerleri gibi kritik noktalar incelenip her bir motor için optimum mil çapı değerleri tespit edilmiştir. S. SEHRA, K. K. GAUTAM and V. BHURIA, “Performance evaluation of three phase induction motor based on no load and blocked rotor test using matlab,” Int. J. Sci. Environ. Technol., vol. 1, no. 5, pp. 541–547, 2012. S. S. SIVARAJU, N. DEVARAJAN and F. J. T. E. FERREIRA, “Performance analysis of induction motor for optimum efficiency and power factor using soft computing technique,” IJEEES Res. Sci. Press, vol. 4, no. 2, pp. 77-86, 2012. V. P. B. AGUIAR, R. S. T. PONTES and T. R. F. NETO, “Study and energy effıciency improvement in the design of an induction motor based on interactive cad software,” Presented at Brazilian Power Electronics Conference, Gramado, pp. 27-31, Oct. 2013. E. AGAMLOH, A. BOGLIETTI and A. CAVAGNINO, “The incremental design efficiency improvement of commercially manufactured induction motors,” Presented at IEEE Energy Conversion Congress and Exposition (ECCE), Raleigh, NC, pp. 15-20, Sept. 2012. A. BOGLIETTI, A. CAVAGNINO, M. LAZZARI, A. MIOTTO and S. VASCHETTO, “Induction motor design methodology based on rotor diameter progressive growth,” Presented at IEEE Energy Conversion Congress and Exposition, Phoenix, AZ, pp. 17-22, Sept. 2011. A. J. P. ORTEGA, “Design and comparison of induction motor and synchronous reluctance motor for variable speed applications: design aided by differential evolution and finite element analysis,” M.S. thesis, The Ohio State University, USA, 2013. E. CHIRICOZZI, F. PARASILITI and M. VILLANI, “New materials and innovative technologies to improve the efficiency of three-phase induction motors. A case study,” Presented at Proceedings of the International Conference on Electrical Machines (ICEM 2004), Krakow, Poland, pp. 5-8, Sept. 2004. 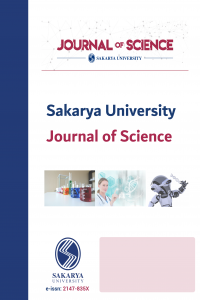 Y. YANAWATI, I. DAUT, S. N. SHAFIQIN, I. PUNGUT, M. N. SYATIRAH, N. GOMESH, A. R. S. RAFIDAH and N. HAIDAR, “Efficiency increment on 0.35 mm and 0.50 mm thicknesses of non-oriented steel sheets for 0.5 hp induction motor,” Int. J. Mater. Eng., vol. 2, no. 2, pp. 1-5, 2012. P. W. HAN, U. J. SEO, J. H. CHOI, Y. D. CHUN, D. H. KOO and J. LEE, “Optimizing design variables for high efficiency induction motor considering cost effect by using genetic algorithm,” J. Electr. Eng. Technol., vol. 7, no. 6, pp. 948-953, 2012. A. F. KHAZIN, S. RAJENDRAN, M. K. A. KHAN, R. GOBBI and K. ANAYET, “Design of a three phase induction motor based on efficiency improvement using amorphous iron material,” Presented at 2nd Engineering Conference on Sustainable Engineering Infrastructures Development & Management, Kuching, Sarawak, Malaysia, Dec. 2008. A. K. VERMA, S. SARANGI and M. H. KOLEKAR, “Shaft misalignment detection using stator current monitoring,” Int. J. Adv. Comput. Res., vol. 3, no. 1, pp. 305-309, 2013. S. G. KOLGIRI and R. K. PETKAR, “Study of different stresses induced in rotor shaft of electric motor,” Int. J. Appl. Innovation Eng. Manage., vol. 3, no. 1, pp. 167-175, 2014. A. H. BONNETT, “Root cause ac motor failure analysis with a focus on shaft failures,” IEEE Trans. Ind. Appl., vol. 36, no. 5, pp. 1435-1448, 2000. V. K. SINGH, S. CHATTERJI and L. MATHEW, “Bearing fault detection of an induction motor using non-stationary signal analysis,” Int. J. Adv. Res. Comput. Sci. Software Eng., vol. 4, no. 8, pp. 1170-1177, 2014. H. H. KADHIM, “Technical and economic design of three phase induction motor using the multicriterion optimization method,” J. Babylon Univ./Eng. Sci., vol. 22, no. 1, pp. 13-24, 2014. L. ZHANG, Y. HUANG, J. DONG, B. GUO and T. ZHOU, “Stator winding design of induction motors for high efficiency,” Presented at 17th International Conference on Electrical Machines and Systems (ICEMS), Hangzhou, China, pp. 130-134, Oct. 2014. J. BUKSNAITIS, “New approach for evaluation of electromagnetic properties of three-phase windings,” Electron. Electr. Eng., vol 3, no. 75, pp. 31-36, 2007. I. BOLDEA and S. A. NASAR, “The induction machine handbook,” CRC Pres LLC, Washington, 2002. TS EN 50347, “Endüksiyon motorları–üç fazlı, standard boyutlu ve çıkış güçlü, genel amaçlı-şasi numaraları 56 ilâ 315 ve flanş numaraları 65 ilâ 740,” Türk Standartları Enstitüsü, Ankara, Türkiye, Şubat, 2005. J. H. KUHLMANN, “Elektrik makinalarının hesabı,” 3th ed. 1974. C. YUNG, “Relationship of torque and shaft size,” 2015. ABB, “Motor guide–basic technical information about low voltage standard motors,” pp. 1-128, Feb. 2014. ELSAN ELEKTRİK SAN. VE TİC. A.Ş., “Norm elektrik motorları,” pp. 1-16, 2016. GAMAK, “Genel ürün kataloğu, asenkron motorlar,” pp. 1-104, 2016. LEESON ELECTRIC, “Basic training industrial-duty & commercial-duty electric motors, gear reducers, gear motors, ac & dc drives,” pp. 1-114, 2012. VOLT ELEKTRİK, “Teknik katalog, volt elektrik motorları,” 2016. WAT, “Motor katalog,” pp. 1-56, 2016. MIKSAN, “Trifaze motor ölçüleri,” pp. 1, 2016. SIEMENS, “Simotics low voltage motors,” pp. 1-501, Jan. 2012. TESLA, “Series three-phase asynchronous motors, aluminum housing,” pp. 1-4, 2016. CROMPTON GREAVES, “Induction motors, frame 63 to 355 low tension tefc & spdp induction motors,” pp. 1-50, 2016. GRUPO WEG, “Motors, specification of electric motors,” pp. 1-68, 2016.